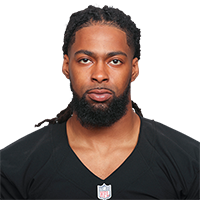 Published: Aug. 31, 2018 at 02:16 a.m.
Oakland Raiders wide receiver Keon Hatcher rolls over defenders, somehow stays up for touchdown. Published: Aug. 31, 2018 at 01:06 a.m.
Oakland Raiders quarterback Connor Cook uses pump fake, finds wide receiver Keon Hatcher for third touchdown catch of the game. Published: Aug. 30, 2018 at 11:30 p.m.
Oakland Raiders quarterback EJ Manuel finds wide receiver Keon Hatcher across middle 19-yard touchdown. Published: Aug. 31, 2017 at 11:37 p.m.
Oakland Raiders quarterback EJ Manuel hits wide receiver Keon Hatcher for an 18-yard touchdown.